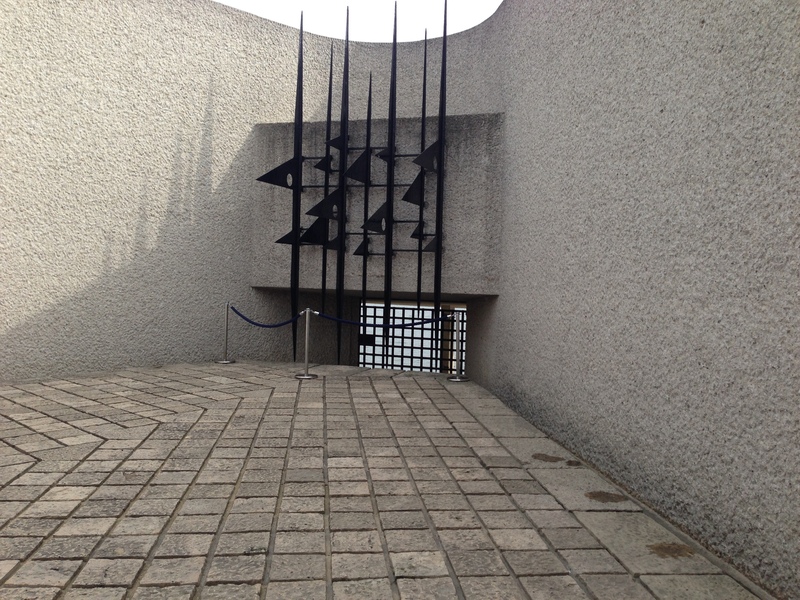 Today we visited the Deportation Memorial, an underground memorial to the 200,000 French people who were deported to the Nazi concentration camps during World War II. The stark and moving memorial features 200,000 light-infused crystals to represent the 200,000 victims. Only a few people can go down to the memorial at one time, partly because it is so small and partly to maintain the reverential mood. 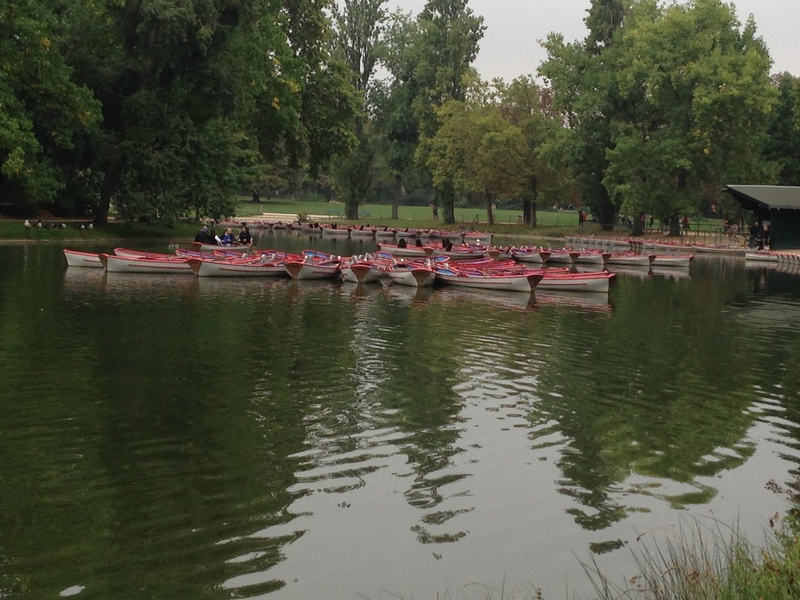 We hiked in the Bois de Vincennes, the largest park in Paris. I had a peak French moment while waiting for Paul. A man started to talking to me, and wonders of wonder, I understood everything he said. He did ask me to repeat myself when I responded, but he understood me the second time, and we had a nice little French chat. 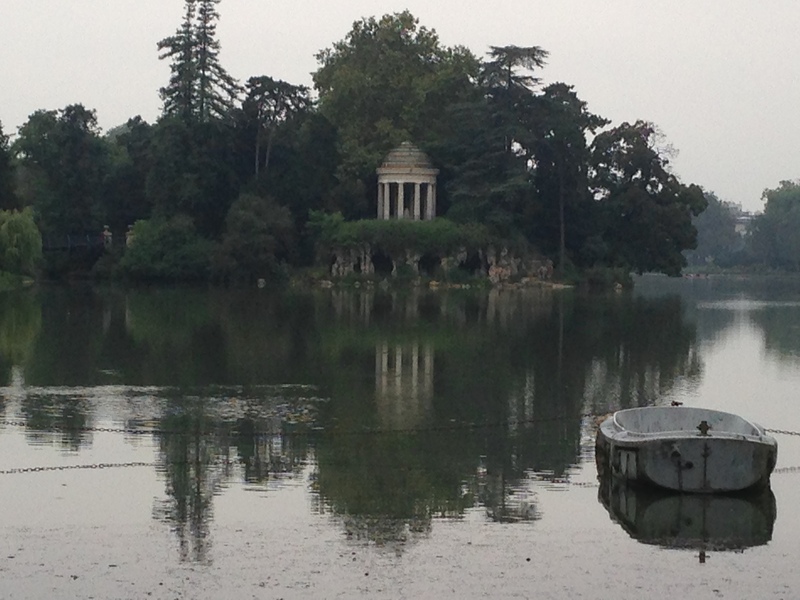 This is only the second place in Paris (the Bois de Bologne is the other) where people can actually walk on the grass. I think grass is a precious commodity in Paris because wherever you see it, it either has a fence around it or signs saying not to walk on it. A common sight in Paris parks is to see mostly gravel with patches of protected grass. 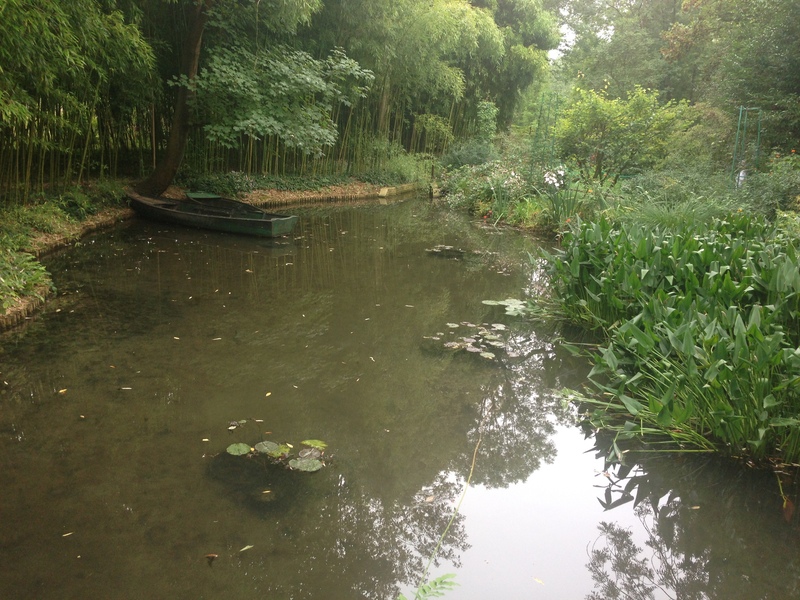 There was a beautiful little lake with boats to rent. 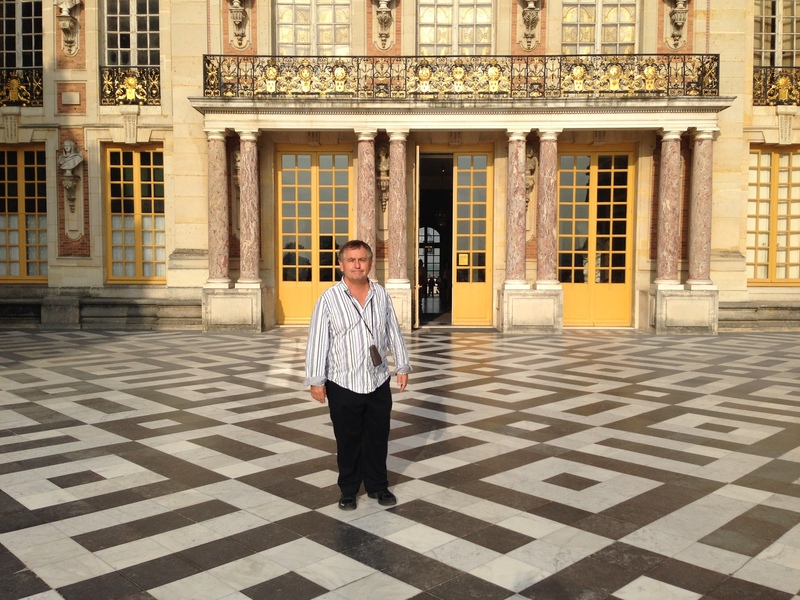 There was a Temple of Love, which looked a lot like the Temple of Love at Versailles. We got a baguette sandwich and frites from a little stand and had a picnic lunch in the park. 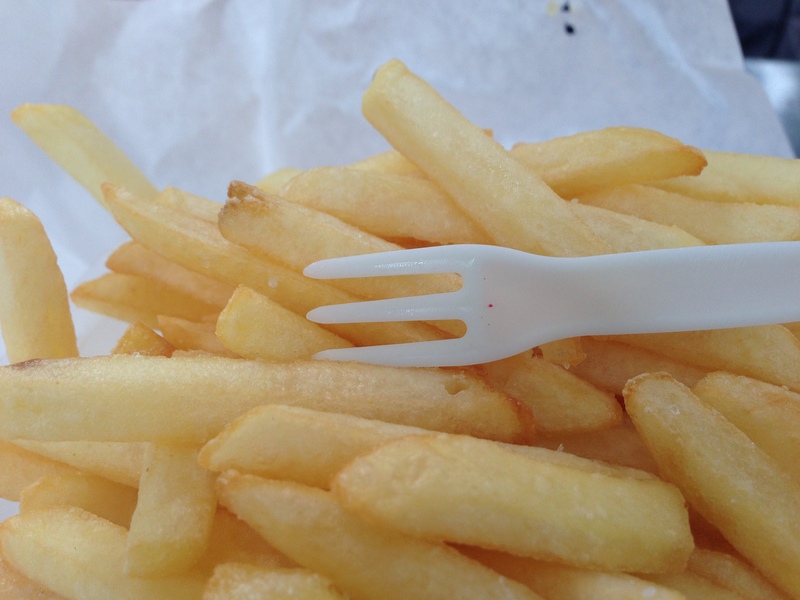 The French always use utensils to eat, so we should not have been surprised to find a little plastic fork with our frites. We had a little drama on the Metro when the door closed before Paul got on, and I didn’t know where were getting off. Fortunately, both our cell phones work here (the first time we have traveled with two cell phones), and we were able to arrange a meeting place. 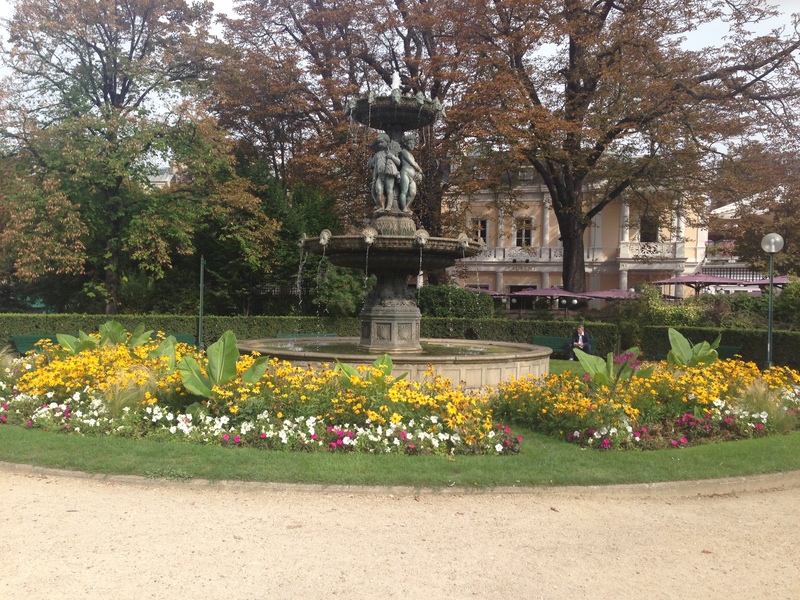 We also walked a bit in the Luxembourg Gardens because we loved it so much the last time we were there. There was so much going on this time. The Luxembourg 10K race was in progress, and all over the park were groups of people practicing tai chi and martial arts. Our final stop stop today was at Berthillon for ice cream. Berthillon makes luxury ice cream and sells it only in France. A character in a book I enjoyed went to Berthillon for ice cream, and I had been looking forward to going there since we arrived. 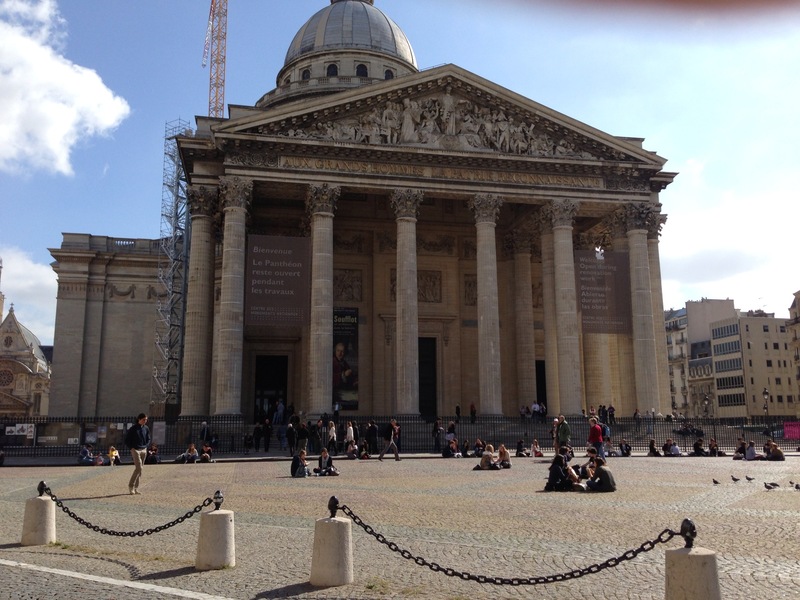 This entry was posted in Paris 2013 on September 29, 2013 by debbie. Twenty years ago we bought our daughter, Samantha, a coat at Galeries Lafayette, one of the most beautiful department stores in Paris. I didn’t remember much about it, so we decided Saturday would be a great day to do a little shopping and strolling. One of the walkways from the Metro led right into the grand magasin, so before we knew it we were in the largest shoe department I have ever seen. Displays of beautiful shoes went on forever. 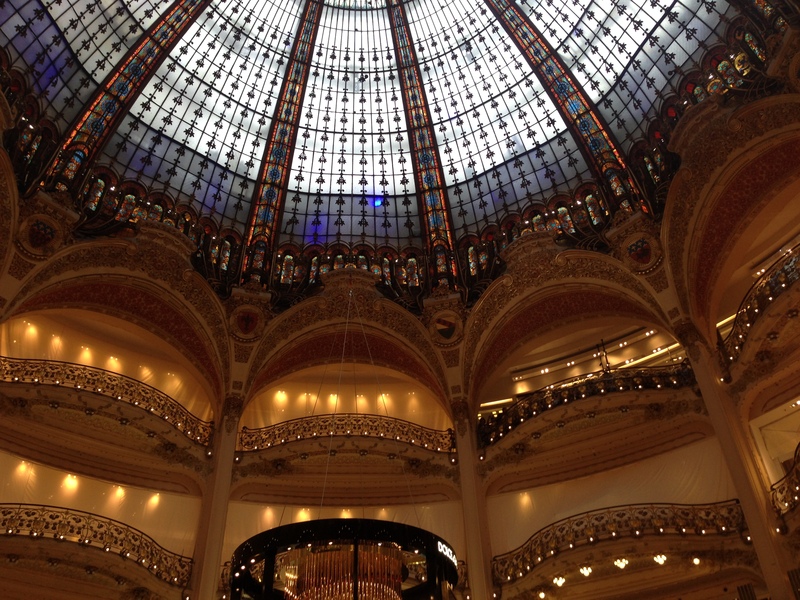 The middle of the store is a dome with open balconies and beautiful glass windows. It was such a beautiful day and we had walked quite a bit, so we stopped for a snack at a little cafe and enjoyed some great people watching. 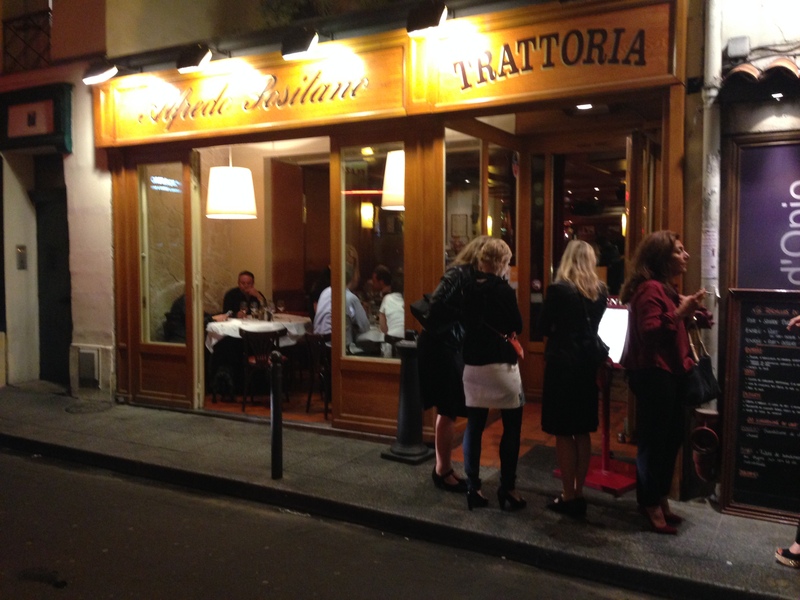 Tonight we went to an Italian restaurant on the Left Bank that we have wanted to try. On our way home after dinner, I realized I had left my umbrella at the restaurant. I had just gotten this umbrella when we were at Giverny; it had Monet’s painting of a girl with an umbrella on it, so we went back to the restaurant, and luckily for me, they had it. We got back on the Metro to come home and decided to get off a few stops early and walk home because it was such a beautiful evening. 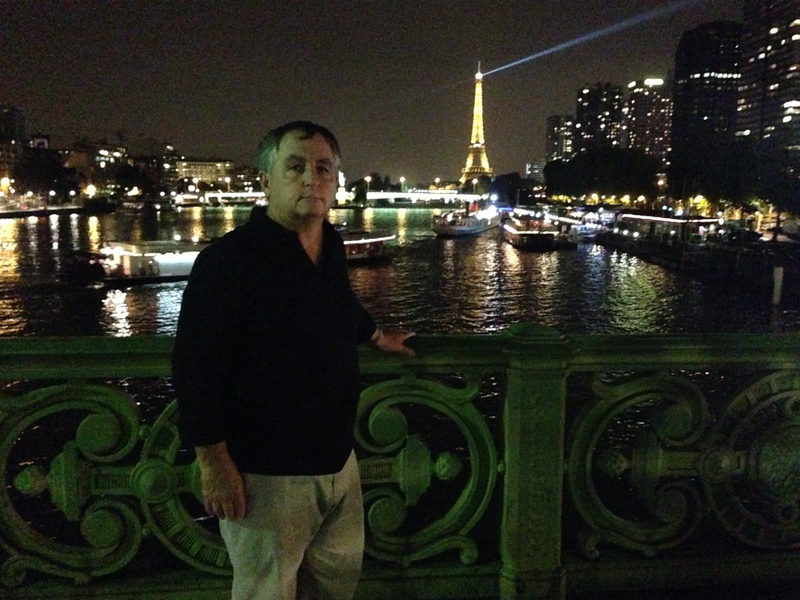 Our apartment is about four blocks from the Seine, so on our walk home we had a lovely view of the river and the Eiffel Tower at night. 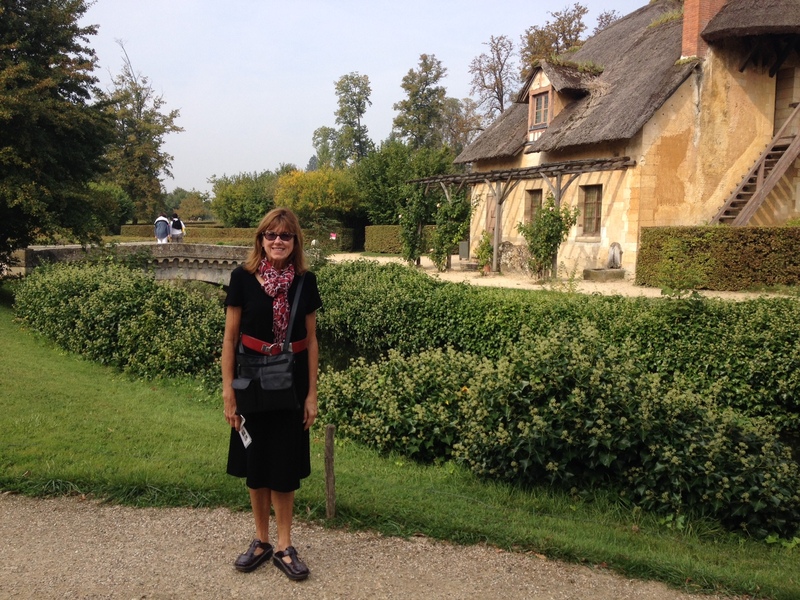 This entry was posted in Paris 2013 on September 28, 2013 by debbie. 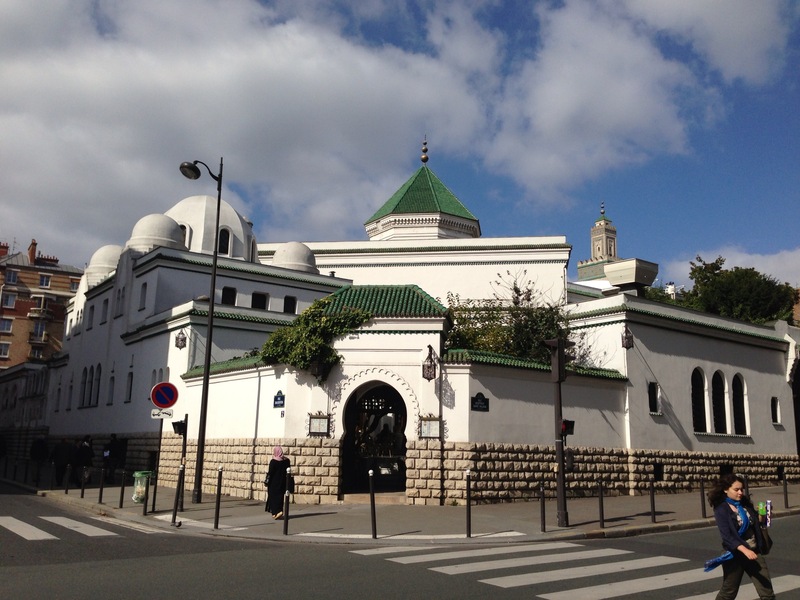 Every day I see something beautiful in Paris, but today seemed especially full of beauty. We started our day on the “other side” of the Arc de Triomphe because we wanted to find the meeting site for our wine tour next week. 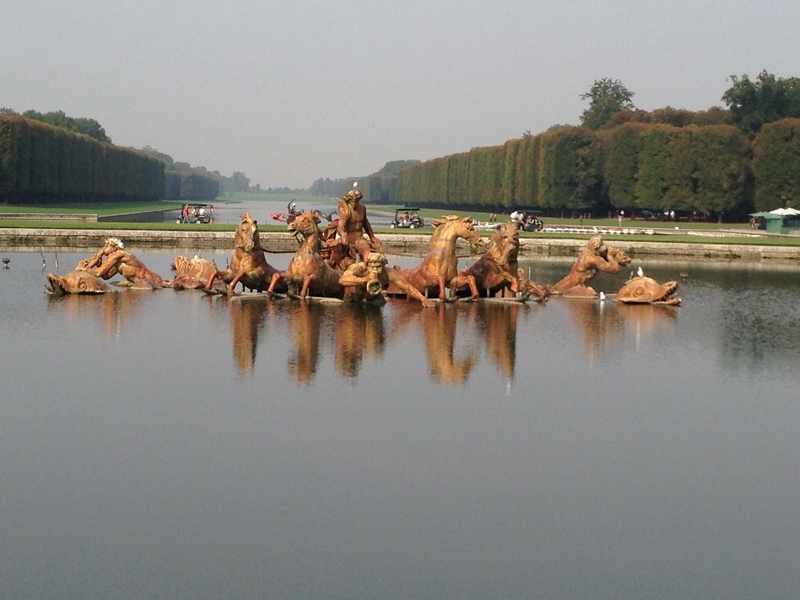 We strolled the Champs Elysee, again, and the Tuileries Garden, again, and went to the Orangerie Museum, a most beautiful little museum. 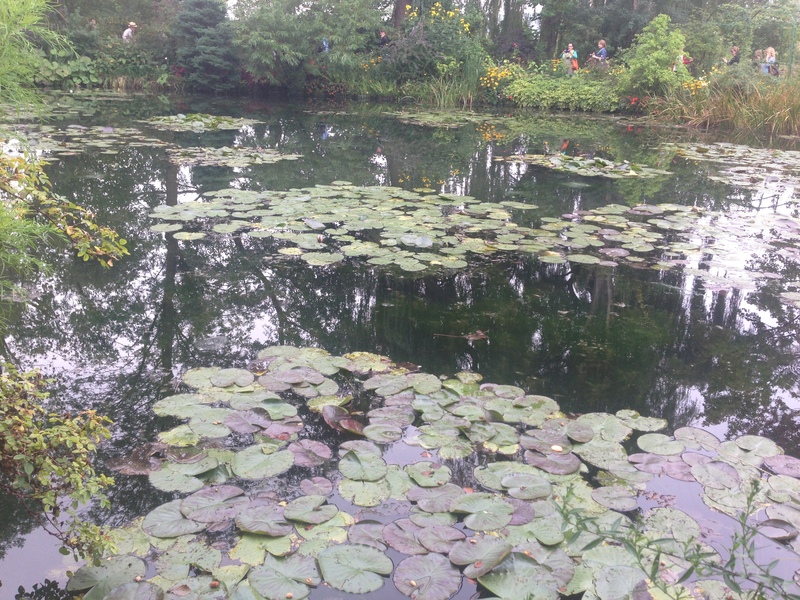 The main attraction is Monet’s Water Lilies displayed in two rooms specially designed to display them. 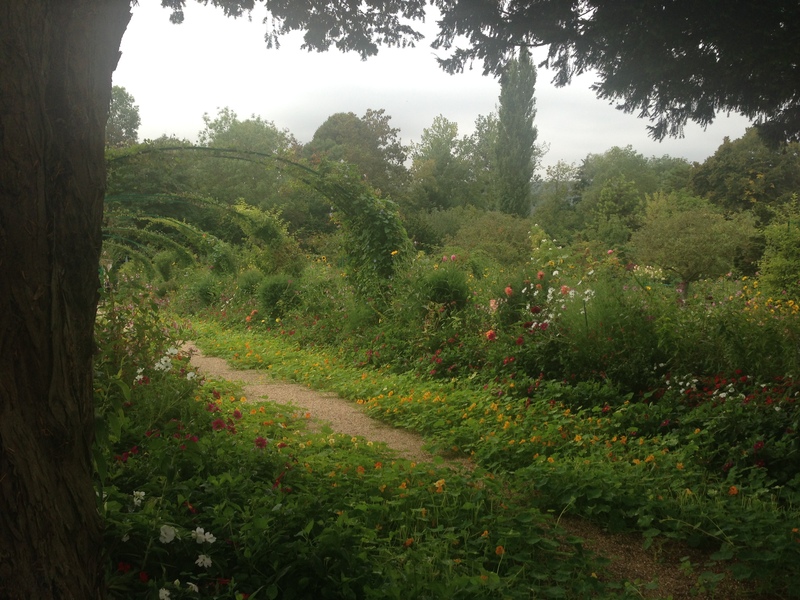 We were so glad that we had visited Giverny where Monet painted these beautiful paintings before actually seeing them. 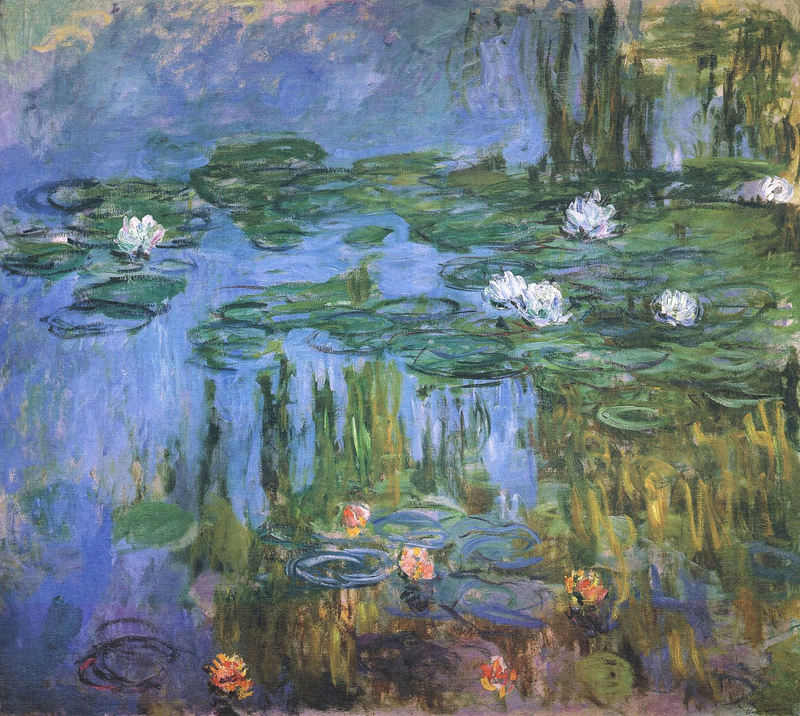 There was a wonderful collection of Renoir works, as well as paintings by Matisse, Picasso, Modigliani, Rousseau and a number of other painters with whom I was not familiar. 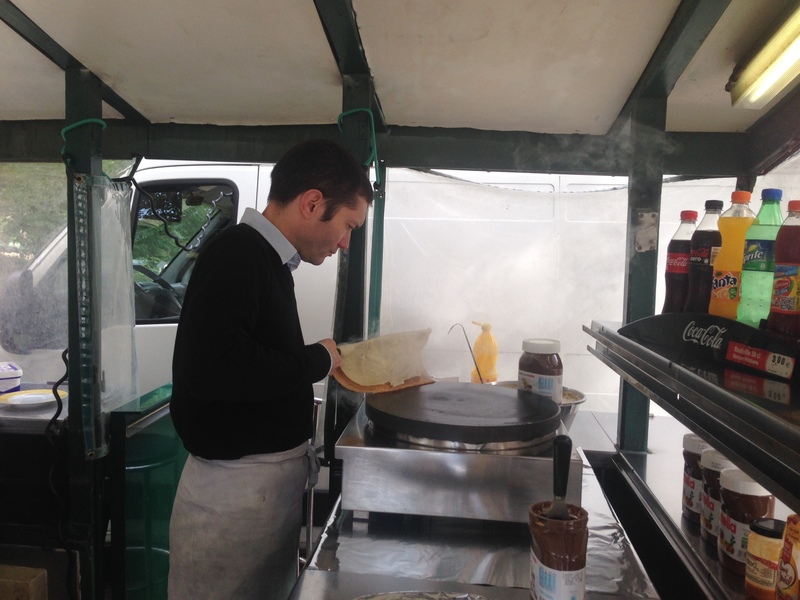 We stopped for crepes from one of the little stands along the Tuileries Gardens. 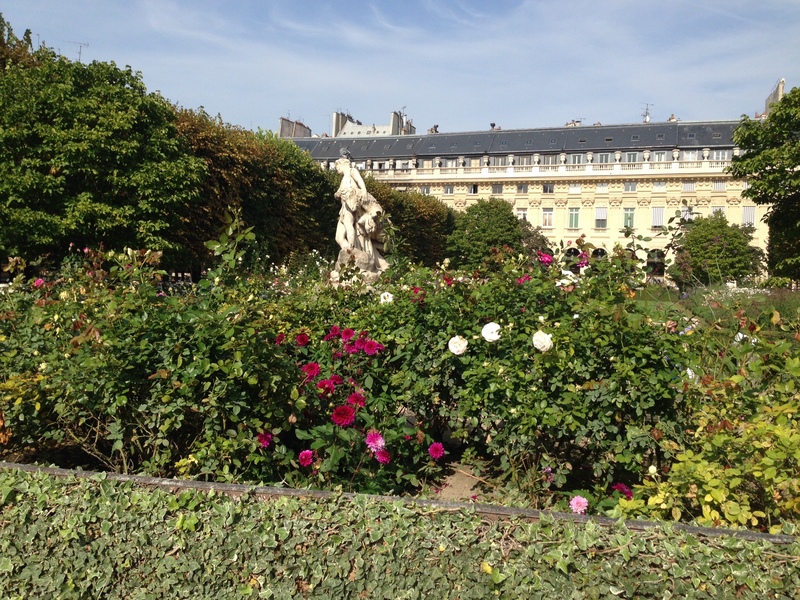 Paris has such beautiful little gardens all over the city. After finishing our crepes, we washed our hands at one of the many fountains around the city and discovered this little gem, a tiny park with just a couple of benches. 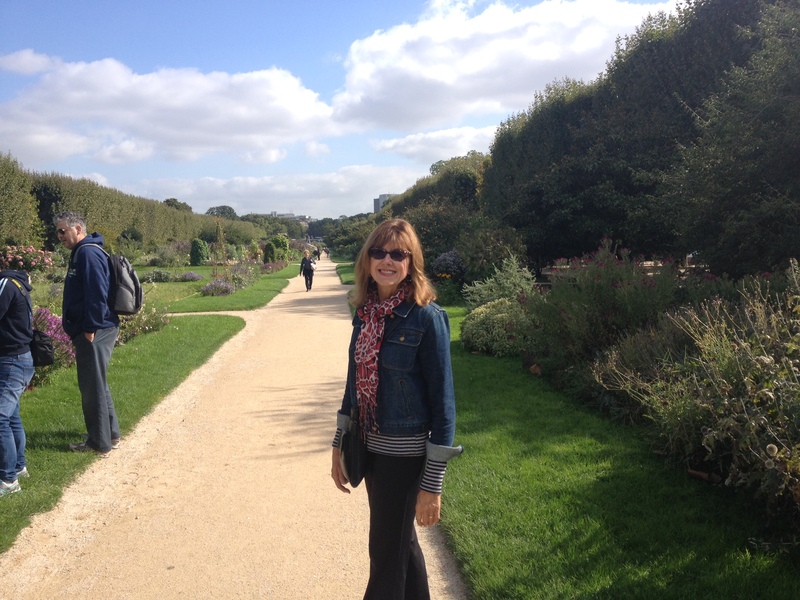 As we came to end of our walk through the Tuileries, we noticed some tents set up and went to investigate. It is Fashion Week in Paris, and the tents were for some of the designers. I have never seen so many beautiful, fashionably-dressed people in one place before. 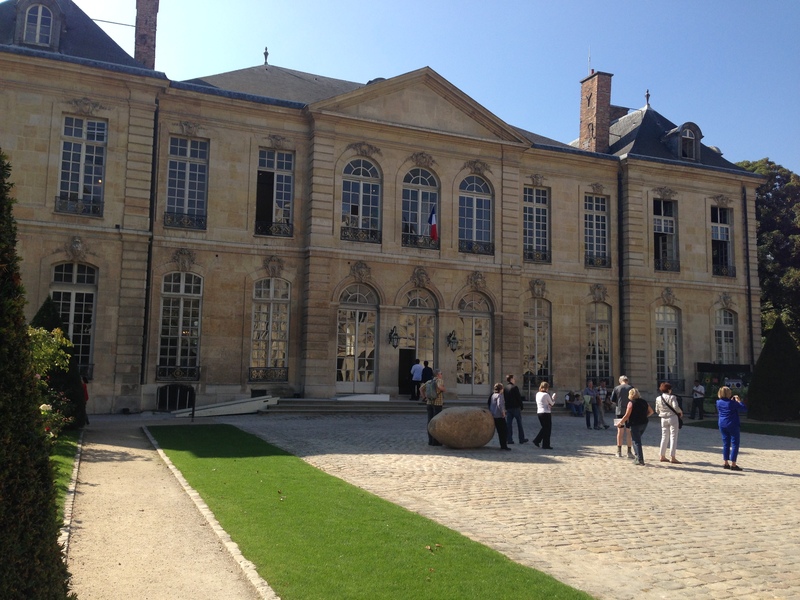 We ended our walk in the lovely Palais Royal Courtyards. 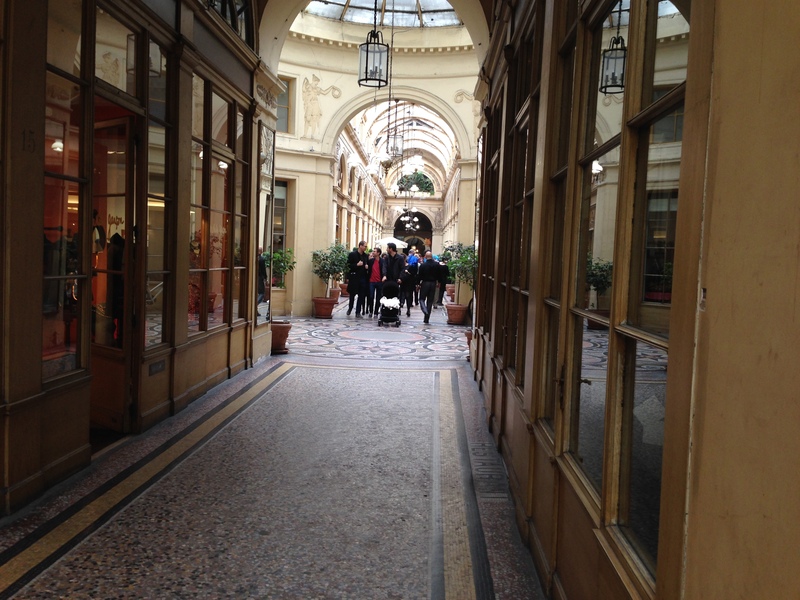 As we left the courtyards, we passed a number of vintage designer stores. Looking at their display windows was like being in a fashion museum. 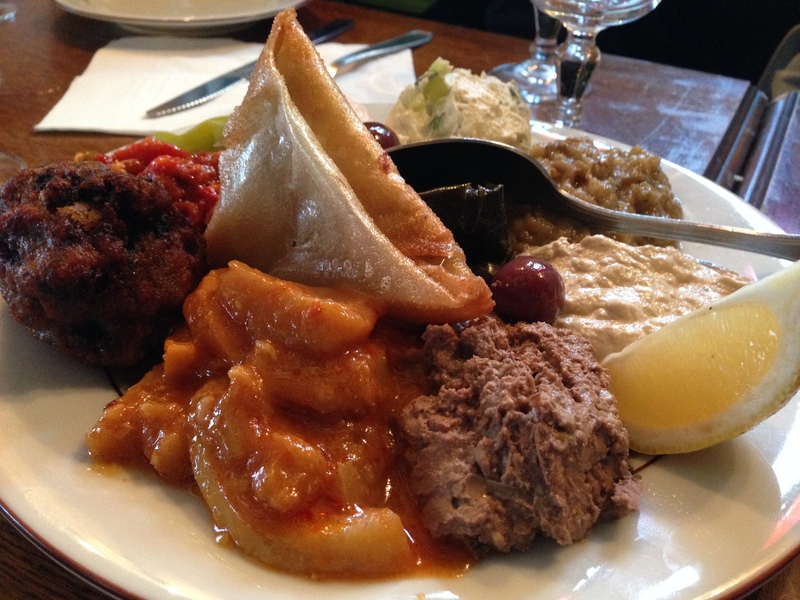 We ended our day with a wonderful Moroccan meal in the Marais district. When we left at 11:00, the restaurant was still full. 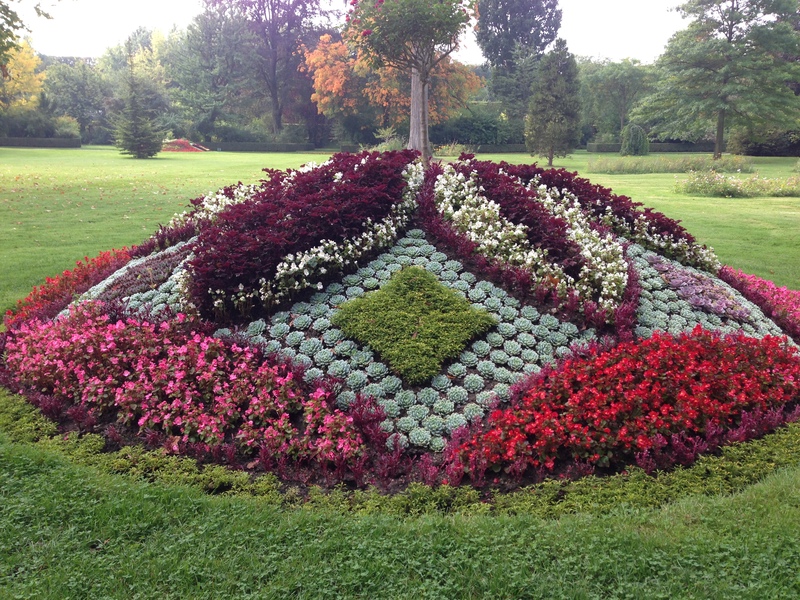 This entry was posted in Paris 2013 on September 27, 2013 by debbie. 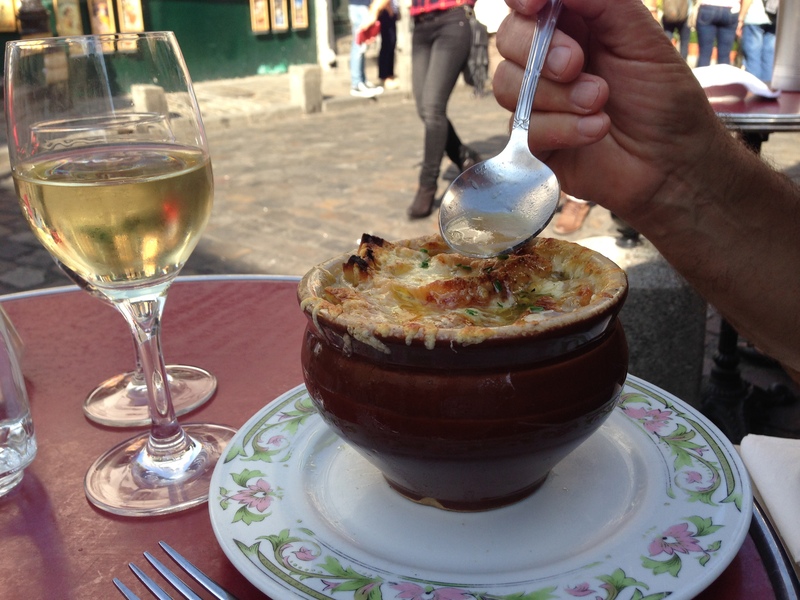 In France, what we call French onion soup is called soup a l’oignon. (Fried potatoes aren’t called French fries here either.) Paul and I found a place in Montmarte that serves such wonderful soup a l’oignon that we made a return trip today just to have the soup. It was such a beautiful day that we got off the Metro early and walked a few extra miles to get there. We told the waiter we came back for the soup, and he smiled and told us quite a story about the chef and the soup. The problem with speaking a little French is you usually get a lot of French in return, more than I can understand. I did understand the waiter saying the soup was the chef’s specialty and he used lots of pepper. This soup is so good that we are already talking about one more trip up the hill before we go home. Later in the afternoon, Paul went back to our apartment to do some work, and I did a little shopping. Riding home, I was thinking about what a lovely day it had been and how much I love Paris. I looked up and saw the doors close as my train left my Metro stop. I got off at the next stop and ended up with a little bit longer walk home. We eat dinner pretty late, so most days we go out for a late afternoon walk. 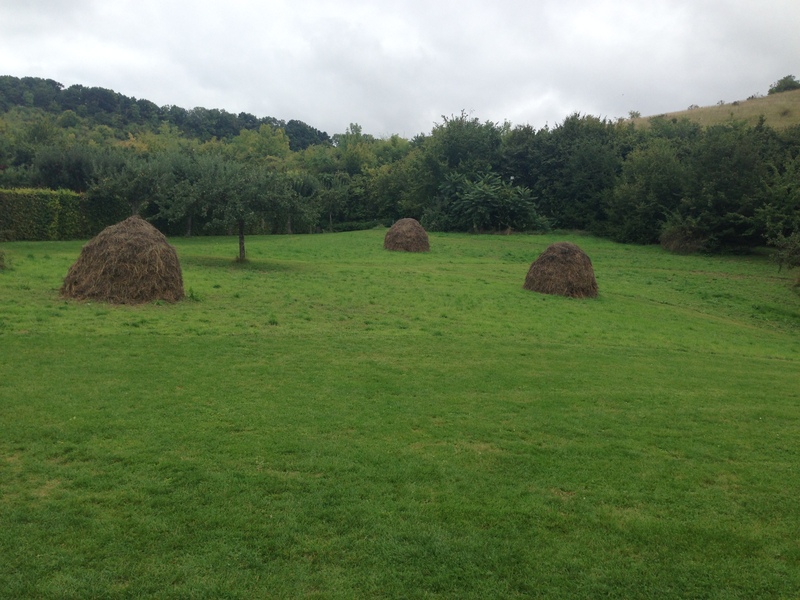 One of the things we love about these walks is discovering new things. Sometimes we take the Metro to a new area and other times we just head out our door. 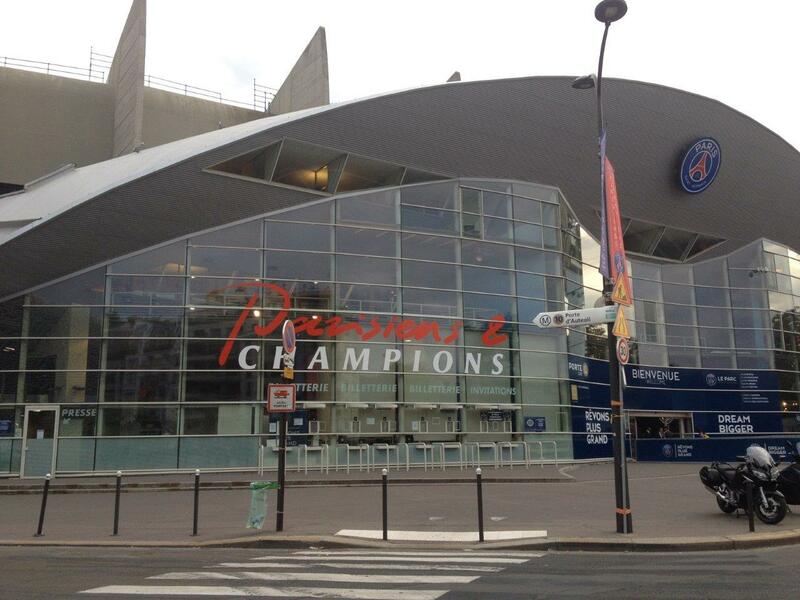 Today we walked from our apartment in a new direction and found two huge sports stadiums. 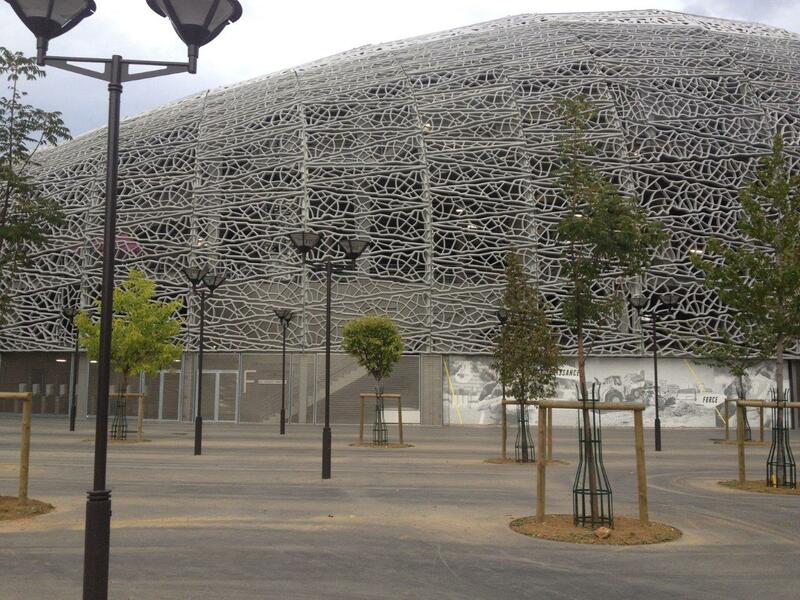 One is the Jean-Bouin Stadium, used mostly for rugby union matches. The other is the Parc des Princes, a football stadium and site of the finish line for the Tour de France from its start in 1903 until the track was demolished in 1960. The two stadiums are across the street from each other, and Paul noted that there weren’t any parking lots for either stadium. 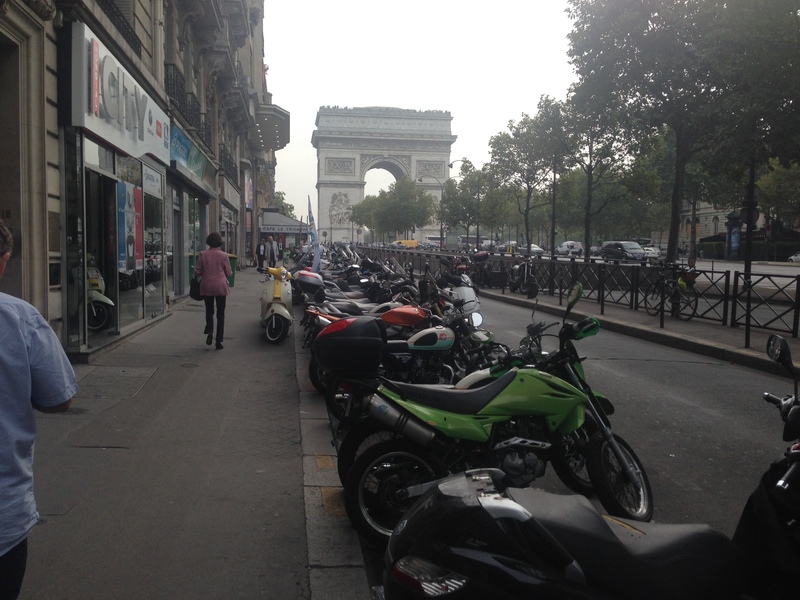 Since most people in Paris use public transportation, they don’t need huge parking lots. 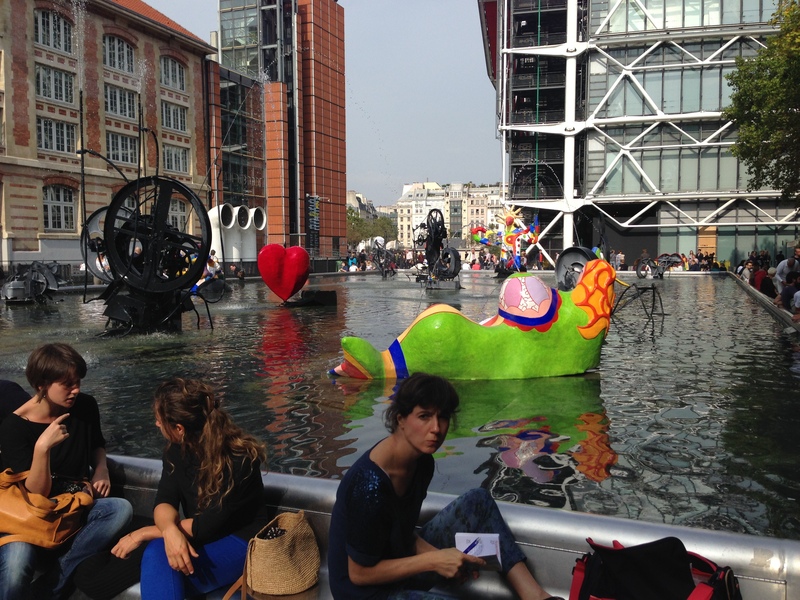 This entry was posted in Paris 2013 on September 25, 2013 by debbie. Today was a much better smelling day than yesterday. 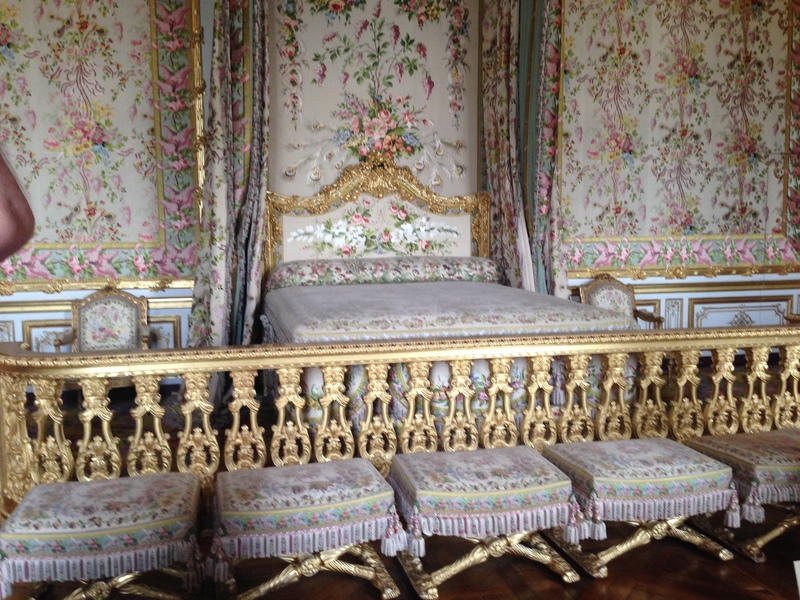 We went to the Fragonard Perfume Museum and learned how perfume is made. 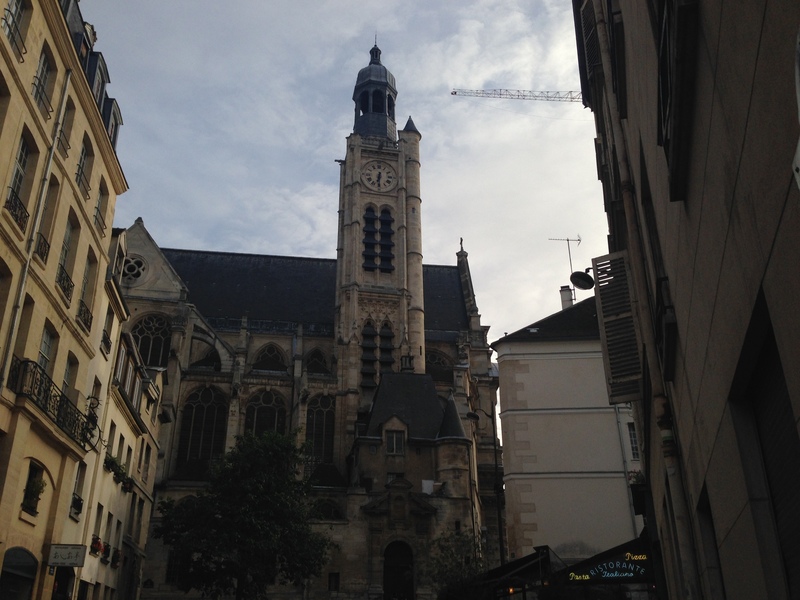 While we were waiting for a tour in English to begin, Paul wondered if men took this tour. Right after he said that a tour group of Indian and Japanese men who wanted a tour in English came in, and we were included with their group for the tour. Of course, I had to buy some French perfume. 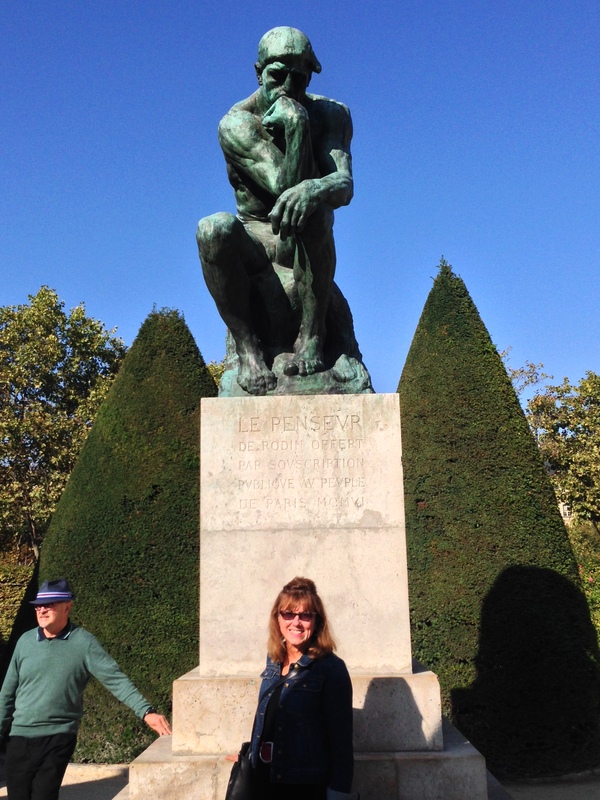 We went to the Musee Rodin. 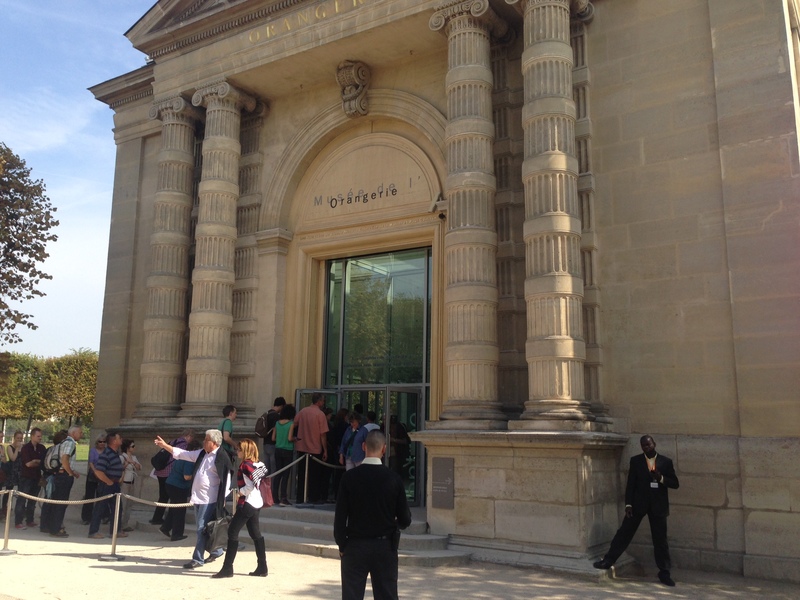 It was so interesting to learn how Rodin had lived and worked in the Hotel Biron with other great artists and donated his entire collection to France with the stipulation that the Hotel Biron become the Musee Rodin. 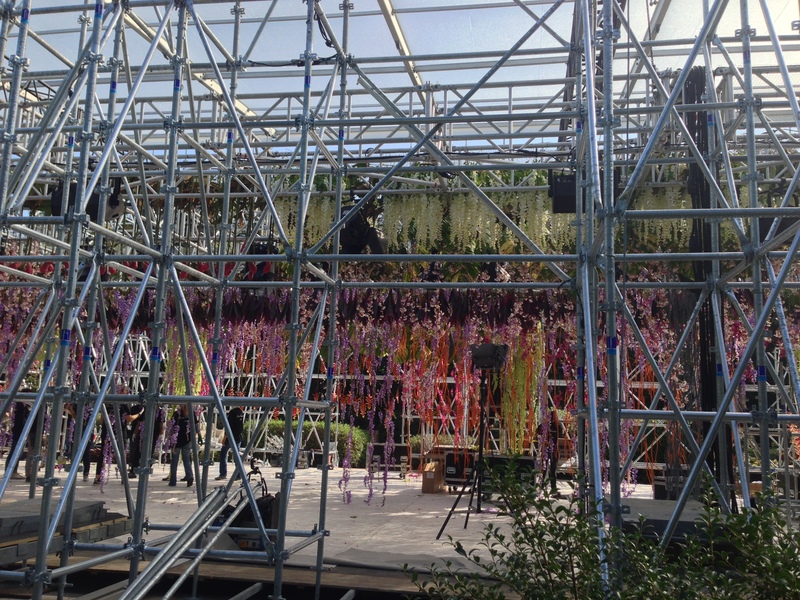 Some of the garden was closed because they were putting up a huge exhibit with flowers hanging from the ceiling. 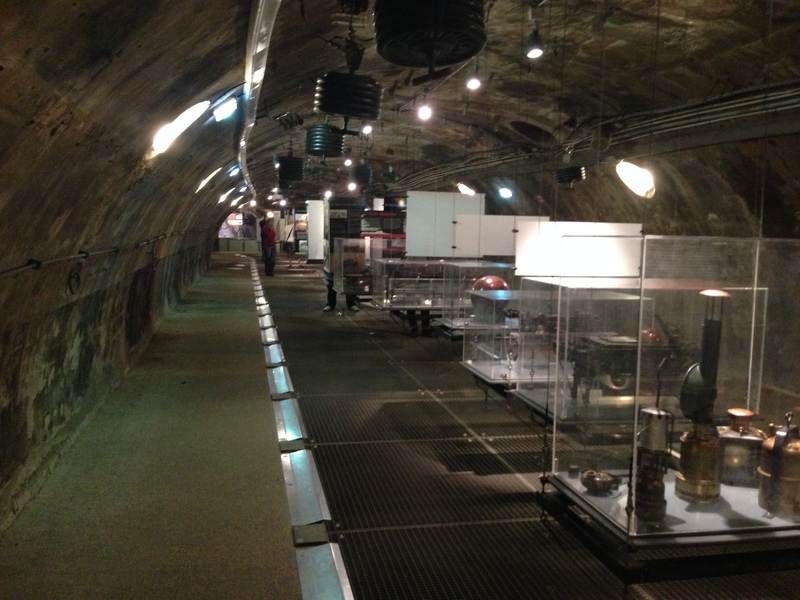 One of the guides told me it was a private exhibit. As we were leaving, the workers unrolled a huge gold sign on the front that said “Dior”, so I think it will probably be the sight of the Dior Spring/Summer 2014 show. Tonight a friend who lives in Paris invited us to her home for dinner. She invited two other people, one who lives in Paris and one who lives in Normandy. It was so much fun to be in her home and meet her friends. 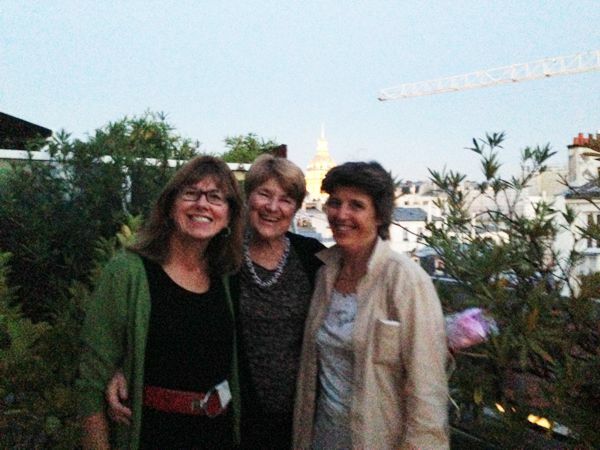 Her apartment has a great terrace with a beautiful view of Les Invalides. 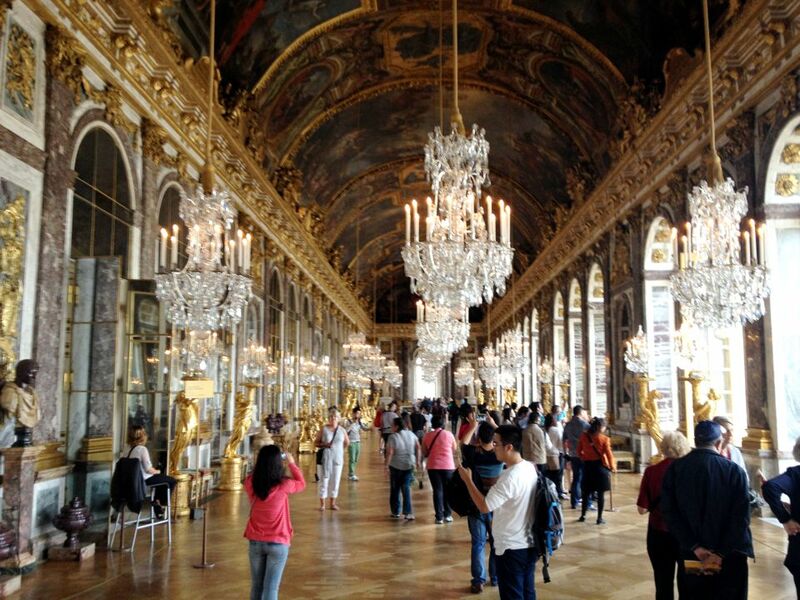 This entry was posted in Paris 2013 on September 24, 2013 by debbie. 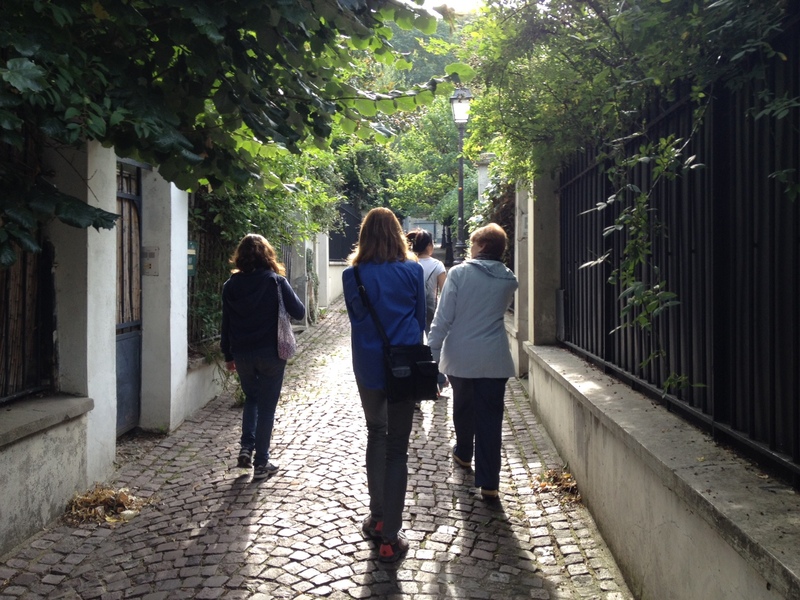 We got off the beaten path today, literally, when we went underground to tour the Paris sewer system. Paul was excited to see this, and I enjoyed it more than I expected. 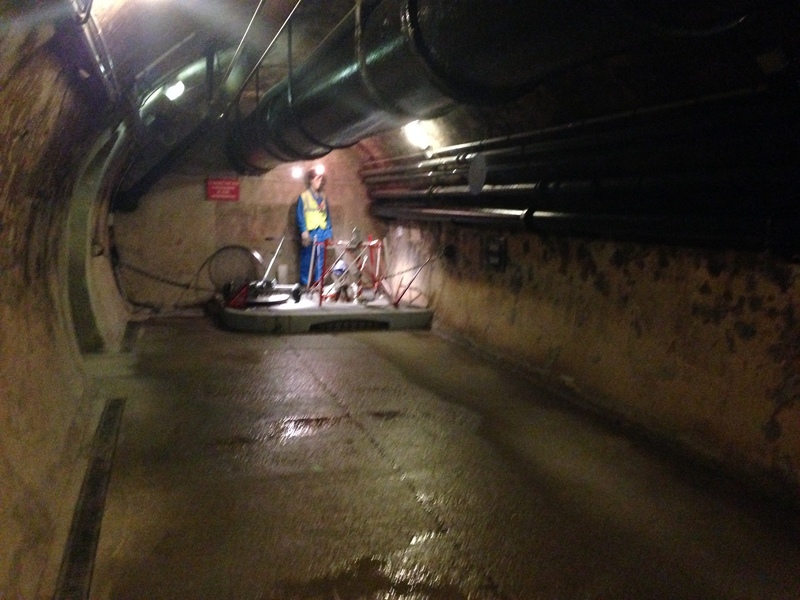 Paris boasts the vastest and most hygienic sewer system in the world. As we were walking the dank sewer tunnels, I thought about the scene from Les Miserables where Jean Valjean carries Marius through the Paris sewer system. Then we got to a display that credited Victor Hugo with making the Paris sewer system famous and mentioned his relationship with Eugene Belgrand, the engineer who designed the system in 1850 that is still used today. It was a little dark and a little smelly but really an interesting experience. There was a small gift shop at the end of the exhibit that sold little stuffed animals (including little rats) and water carafes. Nobody seemed to be buying anything. It was wonderful to return to the sunshine and smell the clean air. 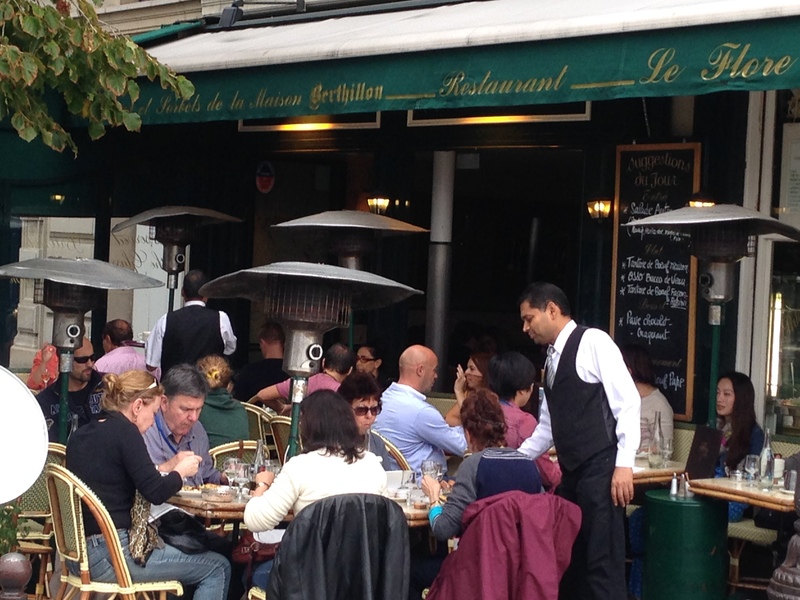 We went to a wonderful traditional French restaurant that had been recommended by a friend who has traveled to Paris many times. 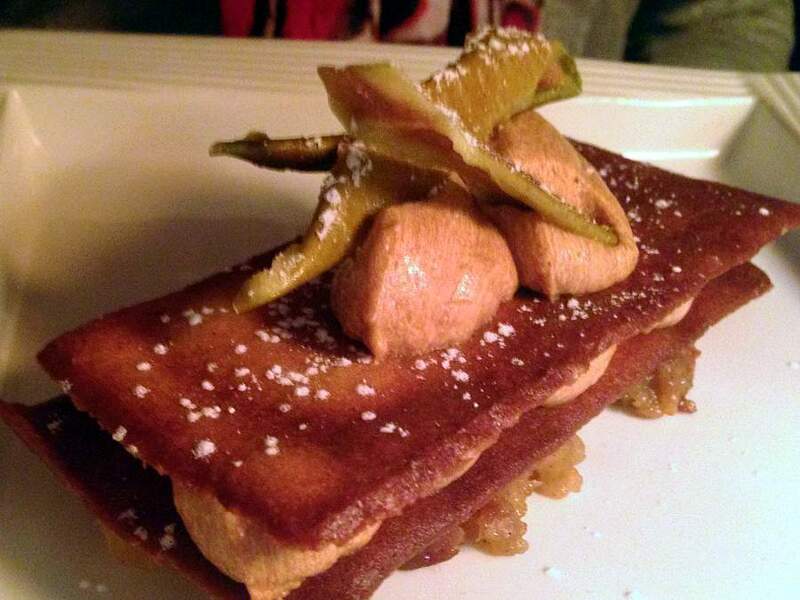 Our three-course lunch ended with an amazing pastry. We finished our day with a wonderful dinner at an Indian restaurant. 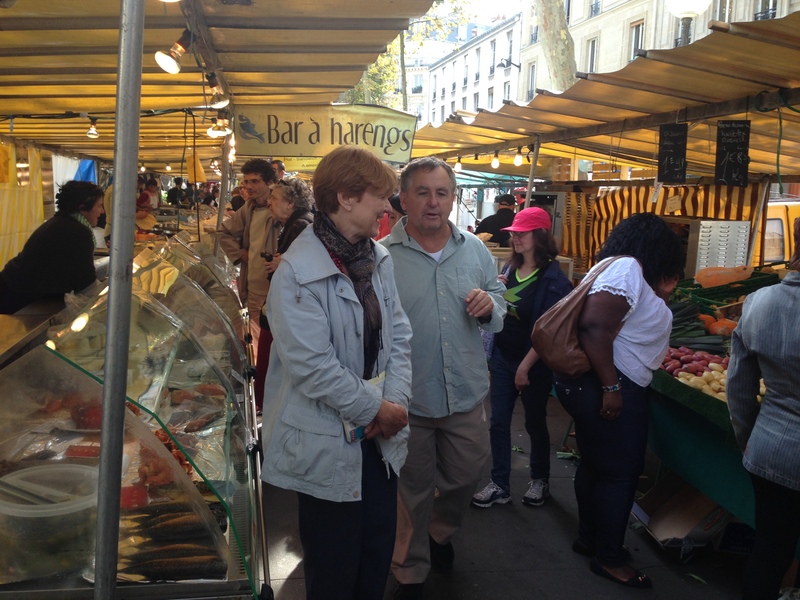 This entry was posted in Paris 2013 on September 23, 2013 by debbie.